Edmonton adopted the Zero Vision policy 18 years after Sweden. Now the city is looking to the Scandinavian nation for tips on how to reach its vision of eliminating traffic related deaths and serious injuries by 2032. 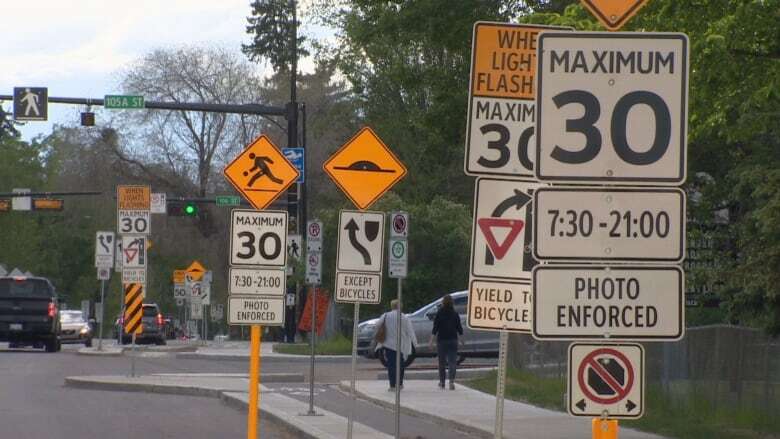 "They've been living that experience and they've also been refreshing it, because over time sometimes you lose a bit of momentum," said Gerry Shimko, director of traffic safety with the City of Edmonton. "Because they're so far ahead, they can pass on those best practices so we can benefit from them sooner than later." Edmonton adopted its Vision Zero policy in 2015, 18 years after Sweden introduced the strategy. The number of road deaths in the Nordic nation has dropped by 50 per cent since 2000. Last year 254 people died in traffic accidents in Sweden, a country of nearly 10 million. In 2016, nearly 1,900 Canadians died in traffic-related fatalities, about double Sweden's rate when adjusted for population. Edmonton has made strides to lower traffic injuries since it became the first Canadian city to adopt the vision zero policy. Over the past five years, the number of traffic injuries resulting in hospitalization has dropped by 65 per cent to 341 in 2017. The number of traffic fatalities, on the other hand, has fluctuated between 21 and 32 deaths each year since 2012. The city hopes both those indicators will drop to zero by 2032. Keynote speaker Jenny Wester spoke at length about a recent initiative in Sweden where most police officers spend 20 minutes of their shift doing traffic control at a high profile intersection. "It's very important that all police officers in the field work with road safety issues," she said. "It's more effective to do many short efforts than one long." The Swedish influence in Edmonton extends beyond the conference centre, with the recent push for protected bike lanes and lower urban speed limits mirroring initiatives in Malmo and Stockholm. 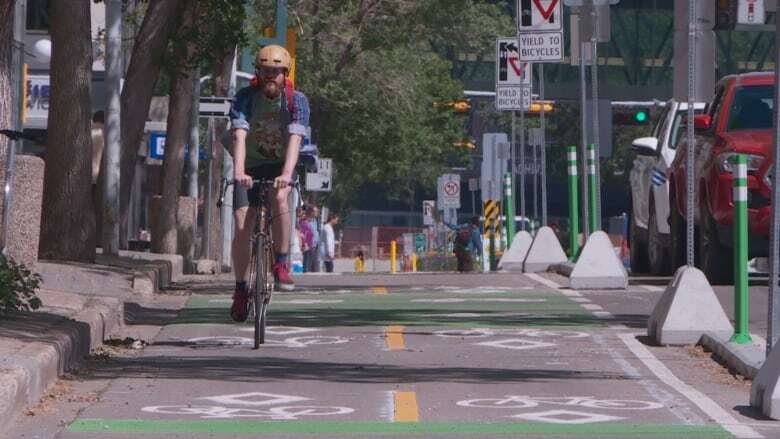 Edmonton opened the downtown bike network last year, which has since grown into a 7.8-kilometre web of protected lanes and shared pathways. The city's experiment with lower speed limits has been less enthusiastic to date. City council was sent back to the drawing board in May less than a year after designating 406 stretches of road as 30-km/h zones, with at least 40 of those expected to be removed from the list. "To my eye, you have very high speed in your town compared to what we see in Sweden," said Anders Lie, a Swedish transportation specialist who presented on Monday. "We are giving higher priority today to cyclists and to pedestrians, getting the speed of cars down, making the city a lot of livable." Sweden has also created nearly 13,000 safer crossings, including crosswalks flanked by speed bumps and warning lights. The city's police department is also trying to preclude any speed bumps on the road to Vision Zero when cannabis is legalized later this year. The Edmonton Police Service is planning to train 80 more front-line officers to conduct roadside drug tests and certify nearly 30 more drug recognition experts by the end of the year. "Obviously just like anybody else would say, we would love to have more people," said Lawrence, who presented on the city's drug enforcement programs. "The federal government made a decision and we are at where we're at … but we're able to respond right now." The traffic safety conference will wrap up on Thursday.